Supplies: White + Green Cardstock by Canson, Kraft Cardstock, Dots & Stripes 12×12 paper by Echo Park Paper, Boys only 6×6 paper pad by Doodlebug Design, Circle Friends clear stamp set by Simon Says Stamp, Micley Mouse clear stamp set by EK Success, Harold’s ABCs stamp set by Lawn Fawn, Black Opaque Zing embossing powder by American Crafts, Colorbox pigment ink, Mickey mouse icon medium punch by EK Success. As I told you yesteday I had participated in some challenges for the (Inter)National Scrapbooking Day. 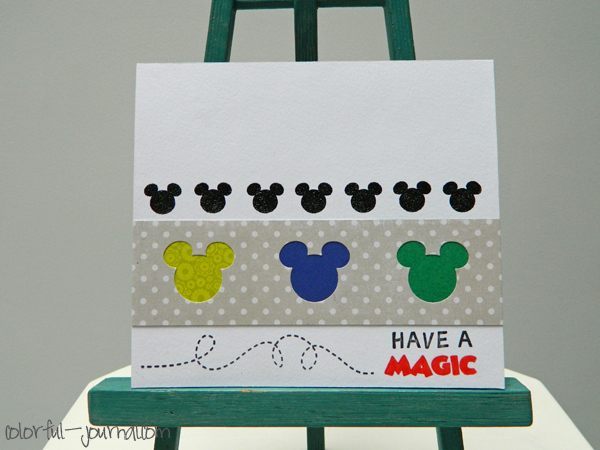 Today I’m showing you a new card that I made for the NSD Challenge #4: Member-Based Color Combo. The color combo was: Navy blue, grass green, lemon yellow and a soft gray. 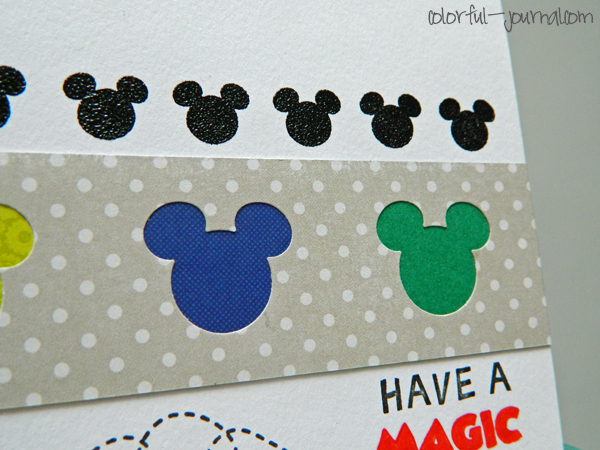 I have a mickey mouse punch and some new stamps mickey mouse stamps, so I decided to use them together and made a card for a boy. 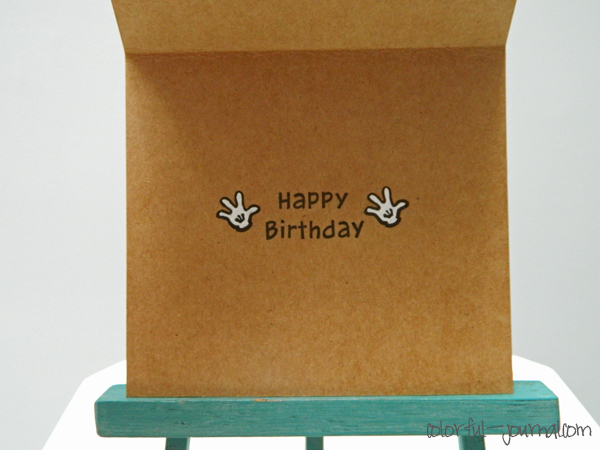 In the inside of the card I continue the sentiment with some lovely mickey mouse hands.